Live house (ライブハウス) is a small live music club concept which originated in Japan. The term is a Japanese coinage (wasei eigo) and is mainly used in China, Japan and South Korea. It most frequently refers to smaller venues, which may double as restaurants or bars, especially featuring rock, jazz, blues, and folk music. A livehouse and café - an East Asian concept, tailored to the tastes of a discerning western audience. A new incarnation for a venerable Philadelphia night spot. 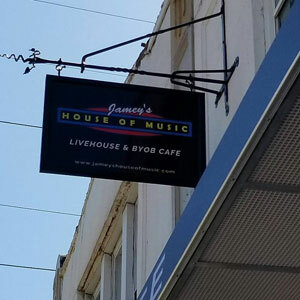 Jamey's House of Music is a superbly crafted intimate 60 seat venue for live music set in a comfortable, world class BYOB listening room and café. Our stunning sound and open sight lines means guests will enjoy live performance in a whole new way. The listening room has cushioned movable chairs, set theater style. 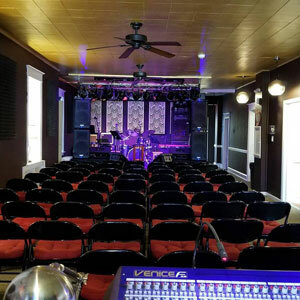 We have been called "the best small venue on the east coast" and "a music lover's paradise." 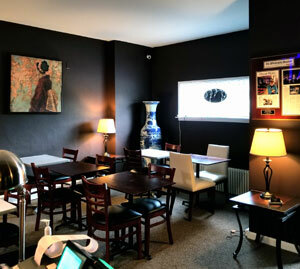 JHOM serves a modestly priced, freshly prepared Asian inspired cafe menu, hand made sinful desserts, and fresh brewed coffees and espressos in our separate 32 seat (16 table) dining areas. Guests are welcome to bring their own beer or wine. As an iconic venue by, and for musicians, we know how to treat professional performing artists with the respect and TLC that they so richly deserve. We are ASCAP, BMI and SESAC licensed. We typically showcase blues, jazz, folk (singer/songwriter), light rock, and occasionally world music genres. We support original music almost exclusively. We feature concerts on most Friday and Saturday evenings, and our First Sunday Blues Brunch - Blues Jam Sessions hosted by the Philly Blues Kings. 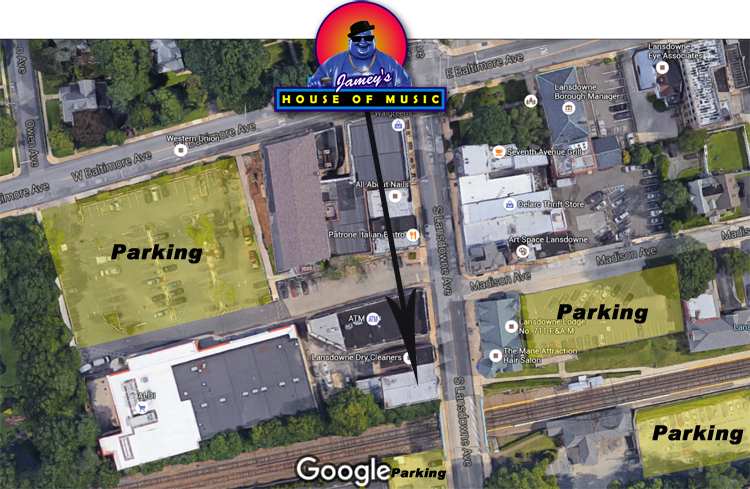 We are the home venue for the Philly Blues Society. Jamey's is a supporter of the Blues Foundation. We are fully wheelchair accessible, have free WiFi, and boast plenty of free parking nearby. Hosts Jamey and Suyun Reilly are pleased to be able to share this wonderful space with fellow music lovers, and welcome you warmly. Jamey is a rennaisance man with a long history in the music business as a musician and impressario, in audio design engineering, in graphic arts, teaching yoga, and as a professional Physical Therapist. Above all he is a dreamer and optimist. The laughing blue Buddha logo, designed by Jamey, represents our belief in the joyful lightness of being, and the conviction that music is humanity's universal language. Jamey also did the overall architectural planning for the new JHOM, as well as the acoustical, kitchen and interior design, and audio equipment installation. Chef Suyun founded the popular "Heaven-Heaven" restaurant in southern China, and helped run the family's successful restaurant business there. She was in charge of the kitchen at our previous fine dining restaurant, Patrone, which featured Italian and Japanese cuisine. You will now find her in our beautiful new kitchen creating mouth-watering Asian accented new American fare for your delight, from fresh pot stickers and fried rice to delicious, meat, fish and vegetarian dishes. 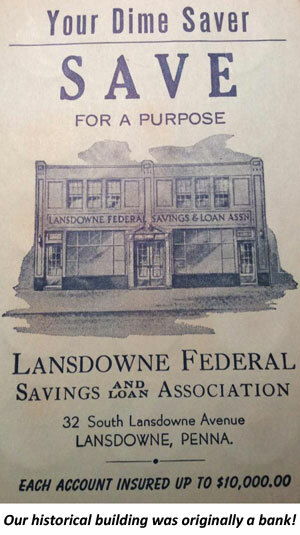 Check out the modestly priced full menu on the menu page. 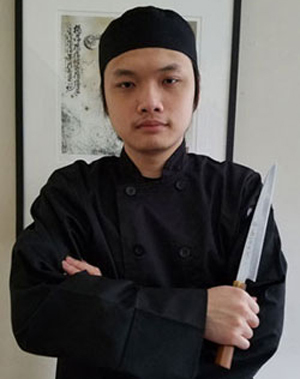 Chef Jun apprenticed with Japanese master sushi chefs, and rose through the ranks in a number of Philadelphia's finer sushi restaurants, to become a skilled master chef in his own right. He also studied Italian and New American styles in the kitchen of Patrone, our former fine dining restaurant. He now runs the kitchen at Jamey's with Chef Suyun. 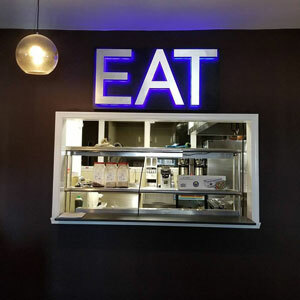 Together, as mother and son, they create dishes that earn rave reviews from our guests, and maintain a nearly zenlike flow of communication as they work together. We hope you will return again and again to enjoy stellar eats, superb live music and a really cool place to meet friendly people. Jun is also an extremely talented fine artist, specializing in portraiture, manga and anime styles using the computer as his canvas. 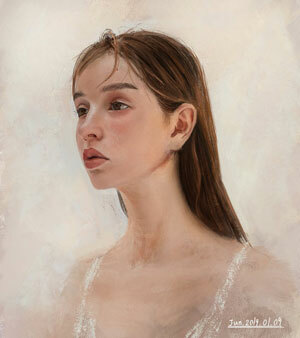 His works tends toward photo-realism tinged with impressionistic elements. He accepts commissions for portraits produced from photographs and may be contacted at the restaurant. A recent sample of his work is shown at the left. We plan to hang a showing of many of his pieces here. His drawings may be ordered as one of a kind or limited edition giclee prints on archival papers or canvas, either flat or stretched, with or without frames. Doors Open 6 pm for dinner on concert nights - Performances Begin 8 pm. 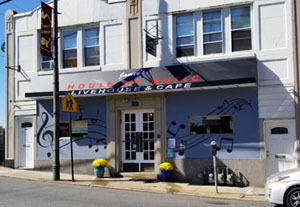 The First Sunday Blues Brunch and Blues Jam Session runs the first Sunday of every month from noon to 3 pm, with an open mic for blues players from noon to 2 pm followed by the Philly Blues Kings performing from 2 to 3 pm. You never know who is in the house! We have a full back line, just bring instruments.There is no cover charge, and brunch is served the whole time. BYOB is welcome. We are a non-smoking, 21 and up listening room venue and older children are welcome if accompanied by a parent. Free parking is available on-street, and in nearby parking lots. Public transportation is easily accessible... we are right next to the SEPTA train station on the Media-Elwyn line, and the 101, 102, 109, 113, 115 buses stop nearby. Concert Reservations: Discounted advance price reservations may be purchased securely online. Box office sales are available when doors open, and are full price. Seating is general admission. We do not use physical tickets. When you purchase the advance discount reservations online, your name is automatically placed on the will-call list for the show you selected. All you need to do is give your name at the door when you arrive for the performance. We do not have dinner reservations - tables are first come, first served. Cancellation policy: If a show is cancelled due to weather or acts beyond our control, we will post the information on this website for the performance affected and provide refunds automatically to your credit card. We do not provide refunds if you cancel your reservations, or fail to show up, but you may give your tickets to a friend.